A newly released prisoner has been put back behind bars after he breached his restraining order by visiting his father’s home to allegedly get a coat to stay warm. 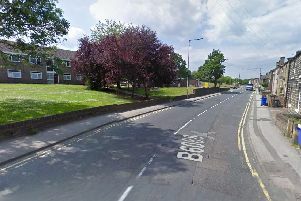 Chesterfield magistrates’ court heard on October 31 how Thomas Meldrum, 21, of no fixed abode, had visited his father’s home on Horsleygate Lane, Holmesfield, Dronfield, on the same day he was released from custody. Prosecuting solicitor Becky Allsop said: “A restraining order had been put in place following an incident involving Mr Meldrum’s father. “The police were called to Mr Meldrum senior’s address by the defendant’s father on October 29 just before 10pm and the defendant had been released from prison that morning. Police attended and were informed Meldrum was behind a hedgerow at the property, according to Mrs Allsop, and the defendant said he had come to his father’s home because he wanted clothing because it was cold. Meldrum told officers he had been released from prison that day and had no where to go and went to his father’s to get a coat because it was cold and he had wanted his father to get him a taxi to go to a friend’s home. The court heard that Meldrum has now breached the six-month restraining order three times since it was first imposed in August. Meldrum, who has previous convictions, pleaded guilty to breaching the order by attending Horsleygate Lane and he also admitted possessing cannabis. Mr Sowter added that Meldrum had struggled in Nottingham prison after he had his shoes stolen and was assaulted in the middle of the night and he is aware that drugs in the prison are all encompassing. Meldrum had been cold, according to Mr Sowter, and his choice had been freezing and living on the streets without a coat or going to his father’s address. Magistrates sentenced Meldrum, formerly of Dronfield, to four weeks of custody and he was also ordered to pay a £115 victim surcharge. They also revoked his restraining order and imposed a new 12 month restraining order.